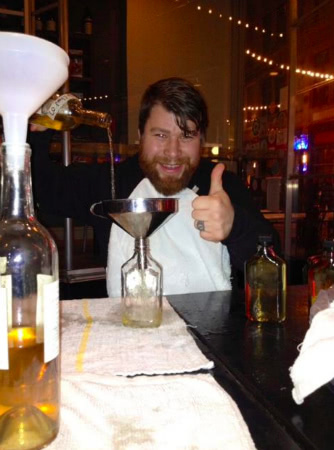 Jonathon Sawyer seems like the kind of guy you want to be running your favorite restaurant. 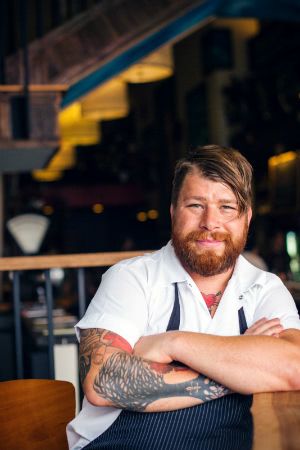 As the chef of Cleveland’s first green restaurant The Greenhouse Tavern, and recipient of Food & Wine Magazine’s Best New Chef award in 2010 (among many other awesome accolades), Jonathon is passionate about sustainable cuisine, his kids and Cleveland. He also just seems like a great dude. We caught up with the chef to get the dish on his latest entrepreneurial ventures. My wife did. Because we are the only certified “green” restaurant in Ohio and grow food on our roof, she thought The Greenhouse Tavern would be the perfect name for our Flagship restaurant. She also came up with the name for our restaurant group SeeSaw. Pick out the VHS lineup for the day, makes an Intellegentsia coffee and then I read my culinary magazines and cookbooks. 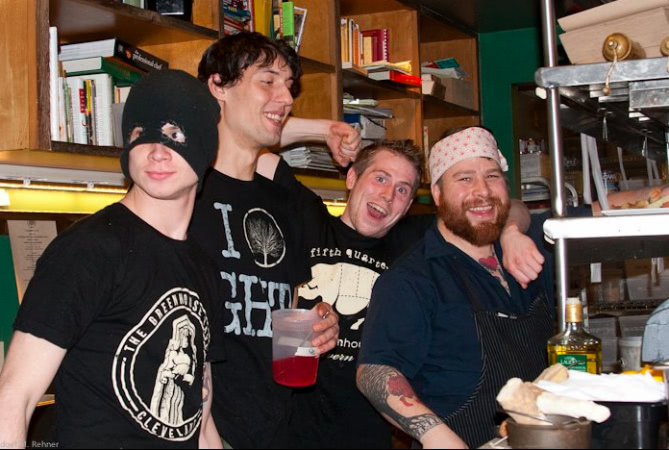 One of our main struggles was finding a manager who could handle a 300+ seat restaurant in a city that wasn’t then known for it’s food scene. I ride my bike to and from work everyday and that helps alleviate lots of frustration. I also have a hot tub, 2 dogs, 6 chickens, and 2 kids. Whenever I am reaching a tipping point I hang out with them. They bring me calm. We watch VHS movies throughout the day, have over 10,000 songs on iTunes, and there is an atmosphere of fun and family. My mom cooks family meal on Saturday for the staff of all the restaurants. We work hard, but we definitely still have fun! Expansion in more sports stadiums (hopefully at Ohio State and Progressive Field), expansion of our Tavern Vinegar Company and a cookbook release. I ride my bike at least 20 miles a day to clear my head as it’s my only alone time. How did you fund this venture? Embrace risk. Make moves that take you out of your comfort zone. I would buy a house in Trento, Italy. Live there with my family, dogs, and chickens and make wine, vinegar, and food. I would travel Europe with my family and write a book about it. Instagram- it’s a quick and easy way to share what it’s like to be a chef running 4+ restaurants & food. 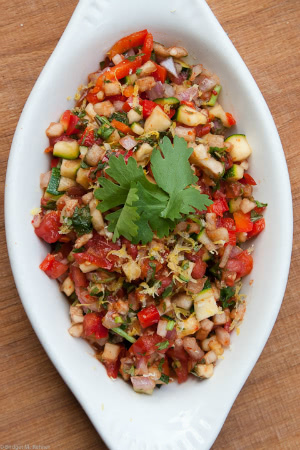 Ratio-Michael Ruhlman’s app is great in the kitchen. What’s the greatest thing about what you do? I think we changed the culinary landscape in Cleveland, a city that is slowly rebuilding after the industry left. We went from a city of very few independent restaurants to a mecca of chefs, butchers, markets, vintners, brewers, and distillers. We took a risk in opening a restaurant in Cleveland and I think that after our successes grew, others were encouraged to follow our lead. Question: How many tattoos do you have? Thanks, Jonathon! If I’m ever in Cleveland I will make sure to stop by one of your restaurants. Cleveland rocks, after all.